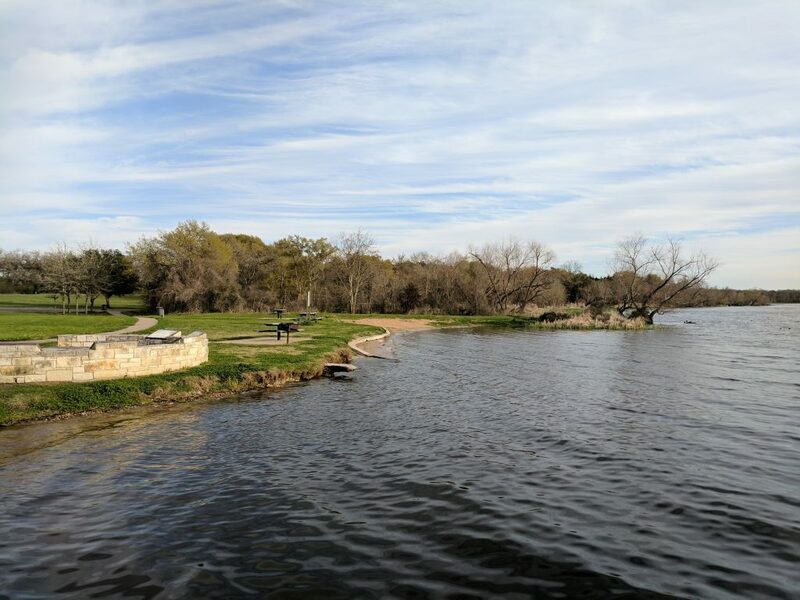 Nestled on the northeast corner of Lake Fayette in Fayetteville, Texas is Oak Thicket Park. With only 21 sites to park an RV, and none of them being pull-through, this park is not for everyone. However, if you are okay with backing in your rig amongst the trees, you might be able to find a little slice of heaven off the beaten path. Known for it’s fishing, Lake Fayette is often home to tournaments throughout the year. The park itself has multiple fishing docks and its own boat ramp. The parking lot near the ramp is often full of empty boat trailers. Lake Fayette is renowned for its fishing. You can hear the sound of motors zooming around and hulls slapping the surface of the water in the distance. Even if you aren’t a fisher, there is plenty to do in the area. Round Top, Texas is about a ten-minute drive down the country highway and is renowned for its vintage market held every spring. Even if you don’t catch the big fair, there is still plenty of shopping, art galleries, and delicious eats! If you haven’t had Royer’s pie, do yourself a favor and try the nationally acclaimed Sweet ‘N Salty. Visit Blissful Folly Farm nearby and try their mead. Once you’ve gotten your stomach nice and full on home cooking, not much further down the road from Round Top is the Blissful Folly Farm, home to the Rohan Meadery. Mead is its own classification of alcoholic beverage, separate from beer or wine. It is fermented with honey, and is therefore often referred to as honey wine. 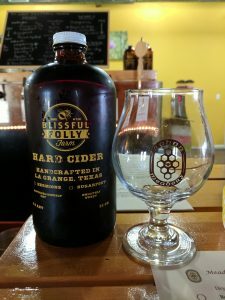 The meadery tasting room is set back a little ways on the farm, surrounded by chickens running around loose, and honey bees buzzing around, minding their own business. If you go on a Saturday, you can often hear live music out on their shaded patio. After you’ve tasted all of their creations, settle in with a delicious pizza and a growler full of your favorite mead. Once you are heading back to Oak Thicket Park for the evening, make sure you already have everything you need, because there is not a camp store on-site. RV sites at Oak Thicket Park are fairly roomy. Actually, Oak Thicket does not offer much in terms of amenities. There is only one bathhouse in the entire camp circle and it wasn’t exactly clean. Some people won’t mind this or they will shower in their own RV. However, if you choose to battle through the bug-infested entrance, the shower water gets plenty hot and has decent pressure. Just make sure to bring bath sandals. If you walk around the campground a bit, you will notice that every RV space is fairly roomy, leaving space between each spot. There are also dense trees and brush so you don’t feel like your neighbors are invading you. If you explore a little further, you will find a couple trail options near the entrance of the park. One is a small loop, easy for families or walking your dog. The other is a three mile trail connecting you to Park Prairie Park on the other side of the lake. 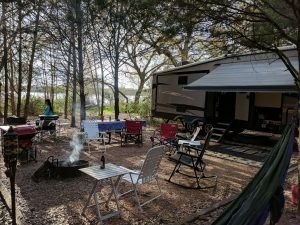 If you like to wander around a bit, Oak Thicket Park is a great home base to fall asleep at night under the bright Texas stars, and a beautiful spot to wake up with the morning birds. Looks like this place wants to discourage RVers with big rigs. That’s all I need to know. Thanks, but no thanks.